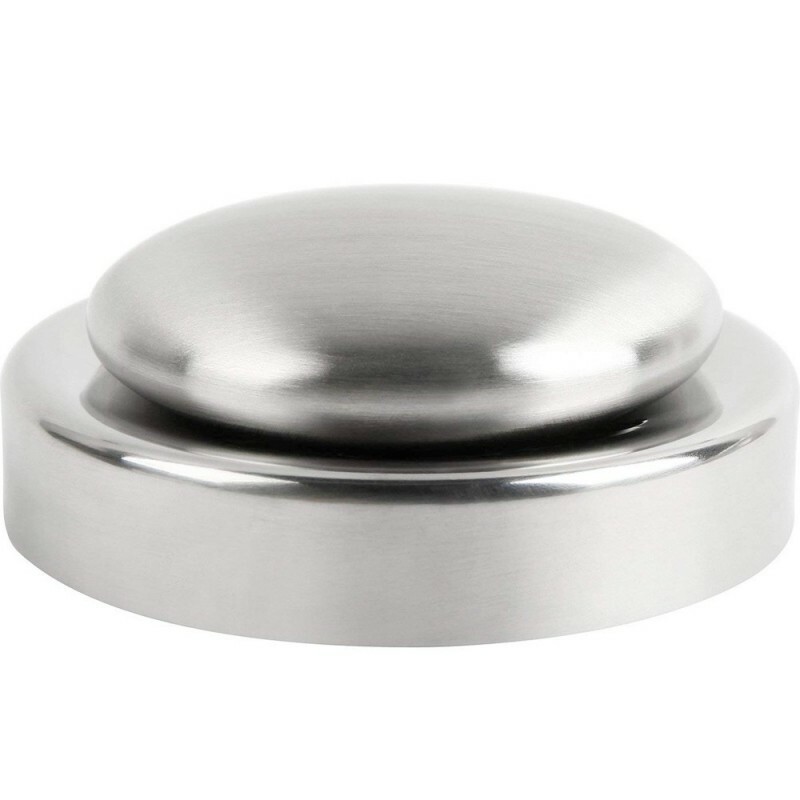 A smooth, round stainless steel 'soap' with drainage holder. Designed to help lift stubborn smells from hands associated with cooking, like fish and garlic. Wet hands and bar and use as you would normal soap. 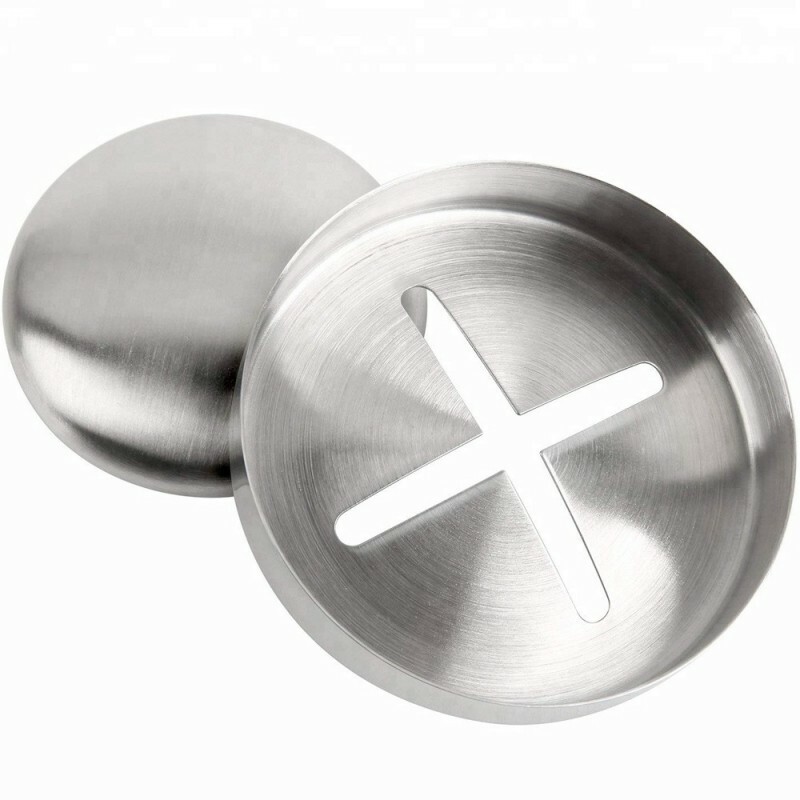 6cm Dx 2cm H 'soap' 7.5cm D x 1.5cm H rack , stainless steel. Product can be recycled at end of usefulness. Refer to your local council for guidance. Click here to view Redecker's plastic free range.